Mary Ann Webster was born in London, England in 1874, one of eight children. As a young woman she worked as a nurse and in 1903 married a greengrocer named Thomas Bevan. Shortly after getting married, Mary Ann began exhibiting symptoms of acromegaly, a form progressive giantism that causes abnormal growth and distortion of the facial features, as well as headaches, failing eyesight and joint and muscle pain. The Bevans had four children before Thomas' death in 1914. Mary Ann, searching for an adequate source of income to support her family, entered and won an "Ugly Woman" contest. 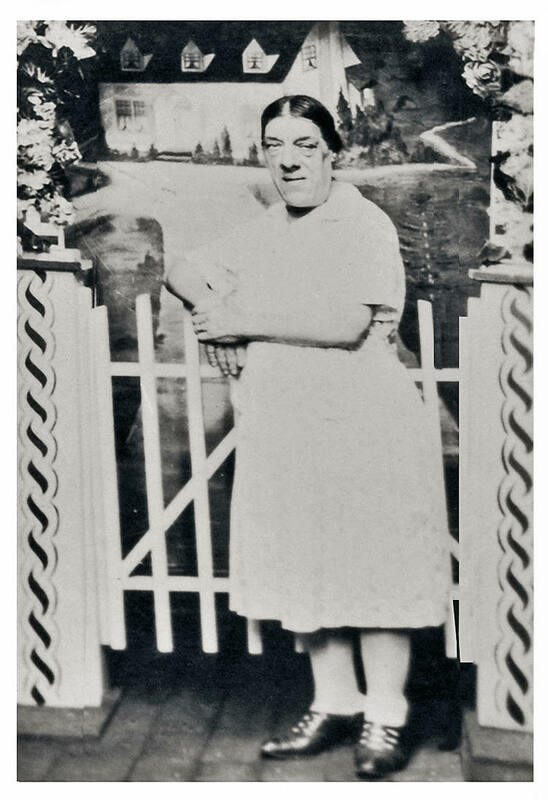 In 1920 she was hired by Sam Gumpertz of Coney Island and appeared with Coney Island's Dreamland sideshow, as well as with Ringling Bros. She continued to work as a sideshow attraction until her death on December 26, 1933, aged 59. Special thanks to Tom Hernandez of quasi-modo for the Text.